Depression has been on my mind a lot lately. Specifically, I’ve been focusing on how I succeed and fail at attempting to cope with negative thoughts. Having a disability doesn’t make my depression any easier to deal with, but there are times where I can tell that this isn’t at the forefront of these dark thoughts. Sometimes I just have plain ‘ole depression. Y’know, the vanilla kind. One moment I’m okay, and the next I’m just heartbrokenly sad for reasons I can’t pinpoint. I’ll be up in bed all night, sometimes into the early hours of the morning, pondering scenarios my mind fabricates. I often wonder about conversations and arguments I’ve had years ago, and try to think of something different to say. Other times I just make up scenes about something that will never happen. Suffice to say, it gets slightly annoying, sad and kind of scary. This is why I decided to seek counseling at the university’s Counseling and Psychological Services (CAPS) office. I’ve been there before, and it’s opened a lot of avenues for me to explore — both within my mind, and outside of it. A big issue I had for years was a negative self-image and feeling alienated from everyone around me. About five years ago, I was at a party where I connected with a girl who ended up seducing me… I’d yearned for a connection with another for so long that I thought that in this moment, I felt secure with what was happening. After some time, I realized I didn’t, and I felt helpless, to say the least. Counselors at CAPS helped me reconcile with this. They aided me in taking medical leave from the university back in the fall of 2014 — my first semester — and even helped me connect with a psychiatrist outside of the university, who I saw for three years. Despite having an amazing support system from friends and loved ones, it worries me that I still struggle with so much fear, doubt and self-loathing. That’s where the counselors at the university can offer a neutral, professional perspective — a different one than I’ve heard time and time again. There’s something relaxing about sitting down with a counselor and starting at whichever point you feel is necessary. You don’t feel coerced into beginning a session with what you ended the last one with. Because of the counseling, I am where I am today. And even though I’ve struggled with mental illness, without these side effects, I wouldn’t be the writer I am. I wouldn’t be able to write poems or songs about my inner demons. I wouldn’t have the perspective I do, or be the person I’ve become. If I listened to those negative thoughts, if I really did give up, that’s what true failure would look like. Failure is doing nothing in the face of hardships. Struggling through a situation that’s hindering you is not failure. And if you’ve ever felt that way, I promise you that it’s not true. Sometimes medication won’t do the trick. Sometimes you need to talk to a professional in order to thwart your depression or anxiety. Maybe you’re dealing with psychosis or bipolar disorder. There are resources here that can help you. 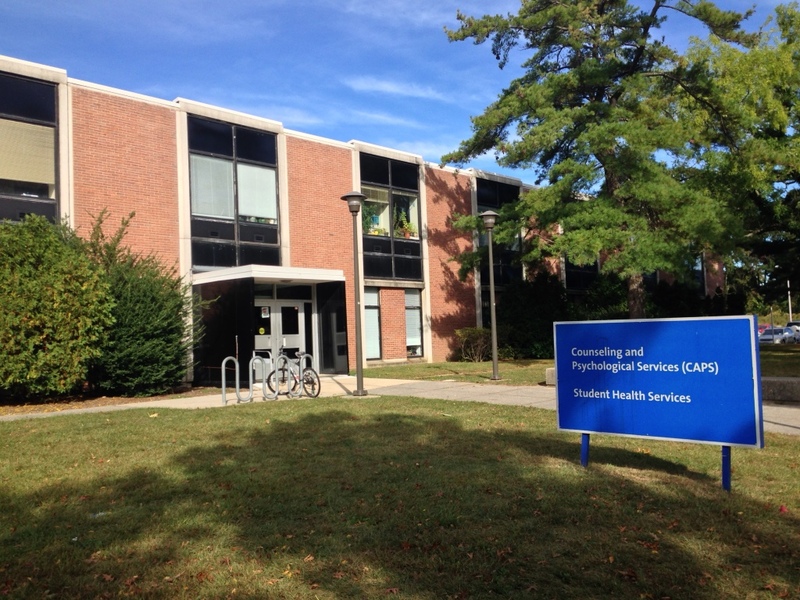 The counselors at CAPS can even find licensed psychiatrists outside of the university if you’re looking for long-term aid. Don’t let your fear control you. Even if you don’t suffer from mental illness, I’d bet a pretty penny that everyone has something they need to talk to a psychiatrist about. You might have experienced a situation that changed you forever and you’ll always struggle with it to some degree, like me. I’m not a failure if I have negative thoughts about myself, or if I’m depressed and don’t care about my well-being. I’m a failure if I do nothing to dig myself out of the pit those thoughts created in the first place. And even though that’s a lot easier said than done, I know I can still make that effort. I’d rather struggle through a situation and try to find a way to navigate my way out of it than just succumb to my fears. Otherwise, it’s all a waste. It took me years to recognize that I needed to get help for what was ailing me, but not everyone has that kind of “aha!” moment. Sometimes you need others to help you, and then maybe you’ll find out what it means to truly feel free from your demons.